October | 2008 | The S.E.E.P. Californians Need To Vote No on Proposition 8 To Protect Civil Liberties and Freedom. In the 20 minute conversation that ensued, his main defense was that gay marraige undermines the institution of marraige and that “we believe” that it’s not right. I said, “There you go – when you say, “we believe,” you mean that it’s your opinion and your personal and religious beliefs that you are trying to impose on other people.” You are certainly entitled to your opinion, that’s the wonderful thing about our country – for the most part you have freedom to do and say what you like as long as you’re not hurting anyone else. But just because you don’t personally approve of what someone else is doing, that does not give you the right to take away their rights. If you want to teach your children hate, intolerance, and bigotry within the confines of your own home, so be it. That’s your right, but it’s not a decision that should even be brought up for a vote! It doesn’t matter that your bible says that being gay is a sin – you might need to remember that not everyone believes in the same religious text that you do. It doesn’t matter that it makes you feel uncomfortable (possibly because of your latent homosexual urges? ), people have the right to have relationships with whomever they please and they should have the rights that any other couple have. On the ridiculous argument of “undermining the institution of marriage” – please people. If you really think that two homosexual people getting married takes away from the meaning of the concept, then you clearly have no idea what marriage is and what it means. It is a word. A word describing an incredible bond between two people that is impossible to put into words. A connection for which you would do anything for the other person, sacrifice everything for their happiness, and go to the ends of the earth to be with them. It’s the bond that I proudly share with my heterosexual partner Laura, and it’s a bond that homosexual partners share as well. I find it incredulous that the same right-wing, bible-wielding Republicans that proudly fly the American flag and claim to value so highly the freedom that we share, feel such a need to take freedoms and liberties away from other people (I apologize to all of the bible-wielding Republicans who understand the place of government, value civil liberties, and will be voting against Prop 8). You can’t pick and choose what freedoms you grant – you are either free or you are not. End of story. Stop mixing your personal hangups and religious “morality” (don’t get me started on the hypocrisy of religion and morality throughout history) and come to terms with the fact that the United States of America is (was?) the greatest country in the world because it was founded on freedom and justice for all. And that true freedom is what we should all continue to fight for, regardless of our race, creed, religion, color, or sexual orientation. The Mini-E: Finally We’re (Almost) Seeing A Consumer Electric Car! 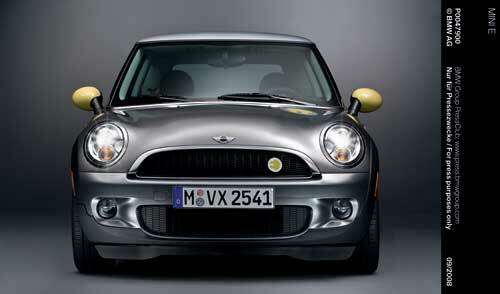 The BMW group has announced that it will have 500 Mini E’s ready to deploy in California by the end of 2008! This electric version of the cuddly yet sporty Mini will house a 150kw (204 hp) motor powered by Li-ion batteries that will go 0-62 in 8.5 seconds, rock an electronically limited top speed of 95 mph, go an estimated 150 miles to a charge, and will be repowered in 2.5 hours by a garage charger. These vehicles unfortunately will only “initially be made available to select private and corporate customers as part of a pilo t project in the US states of California, New York and New Jersey”, but it’s a start and I’m optimistically hoping that they’ll see great success and get to the consumer sometime in 2009-10. We’ve known about climate change for decades, yet hardly any action has been taken until recently. We’ve seen fuel prices rise and the threat of peak oil has loomed closer and closer, threatening a global energy and economic meltdown at any time. Since the EV-1, subject of the film “Who Killed The Electric Car”, we have yet to see a consumer-oriented, highway-capable electric vehicle come out of any of the major auto manufacturers. Sure, we’ve seen prototypes, concepts, and a flurry of promised vehicles from startups, and don’t forget the DIY movement, where an enterprising wannabe engineer can spend a few hundred hours and $10K or more on an EV hobby kit, but where have the electric cars been for the rest of us? We want to go to the car lot, test drive a few, and slap down less than $25k for a nice, solid, reliable electric car with all of the bells and whistles. The technology is there – the only stumbling block has been battery technology, which is advancing at a blinding speed. Why hasn’t the industry gotten together to make a standard interchangeable battery pack that can be swapped out with better technology in 5-10 years when it’s ready? I’ll take a car with a 100 mile range now with the prospect of a 300 mile range in a few years when batteries are better! Like it or not, we’re in at least a recession and possibly heading for a depression. The federal government can bail out banks and throw money into the system without having any real inkling as to whether it will actually work or not, but there’s no denying that we will all be affected. Some will lose jobs, some will take a hit on retirement, some will lose their homes, and some might even have to sell their second yacht. Regardless of where you stand, as we approach peak oil, energy, food, and transportation will continue to become more costly, and as finances become tighter, we will all have to take a good look at how we use our money and our resources. How can you protect yourself against this downturn? Become as self-sufficient as possible. With the renewed and expanded tax credits, and more payment plans available, residential solar installations are now within reach of many Americans. Solar hot water and solar ovens to cook your food will decrease your gas or electric bill. 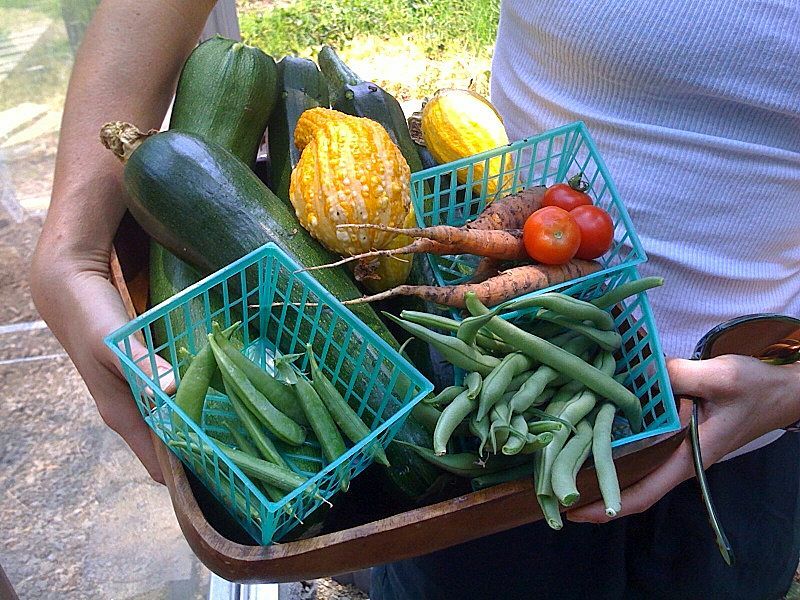 Plant a garden for cheap, fresh vegetables and herbs and some free exercise instead of a gym membership. 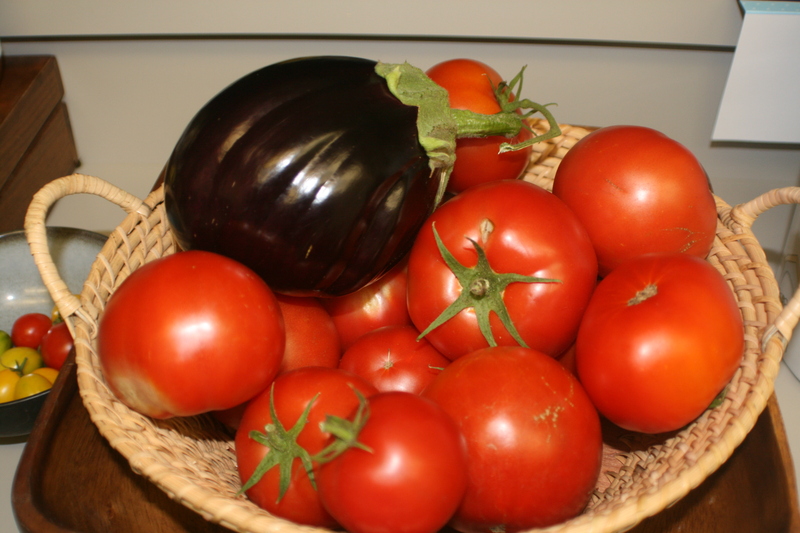 Compost your kitchen waste for free fertilizer for your plants and garden. Look into a commuter bike or an electric bike or scooter for fast, nearly free local transportation. Find out what public transportation is available to you and take the bus or the train to work, or find other commuters to carpool with. Perform an energy audit of your home and replace incandescents with CFL bulbs or even better, energy-sipping LEDs. Turn off unused lights and electronics with power strips to combat phantom power loads. If you’re upgrading or changing appliances, make sure that your new ones are Energy Star certified, particularly your computer, refrigerator, dishwasher, clothes washer and dryer. Reinsulate your home and seal doors and windows against drafts. Plant fruit trees and berry bushes around your property for year after year of seasonal food that can be canned for use later or given away as inexpensive but creative and sustainable gifts. There are hundreds of other small changes that you can make that are not only rewarding and will decrease your impact on the planet, but will save significant amounts of money for you and your family as food and energy prices rise. This is not only a conscientious thing to do, it’s fiscally responsible! ABC Refuses to Air Repower America Commerical – They’ve Already Been Bought By Big Oil. In a blatant maneuver to stay in the good graces of oil companies and keep their ad revenue, ABC has refused to air this commercial from the Alliance for Climate Protection at wecansolveit.org. Lets see. . . we can support a message funded by the public for the public good in a time of crisis, or we can pander to the oil companies, those partially responsible for the mess we’re in. Sounds like a boycott to me! I’ll stick to CNN and BBC (Sorry FOX, I only watch to laugh at your ridiculously obvious bias to the right. NBC is biased to the left, but isn’t quite as blatant as FOX – but Olberman does great rants). Sarah Palin is a Self-Proclaimed “Energy Expert” Because There’s Oil in Alaska, Just Like She’s a Foreign Policy Expert Because Russia is Next Door. I hate to keep harping on Governor Palin, but unfortunately she deserves it. It is imperative that the middle America that she somehow appeals to understands how utterly inappropriate she is as a Vice Presidential Candidate, making the otherwise reasonable McCain ticket a no-deal (I’d still vote for Obama, but McCain isn’t a bad guy). In the vice-presidential debate, Palin called herself an “energy expert”, which, it seems, is a moniker earned in a similar manner to her supposed foreign policy prowess. By her reckoning, she is close to Russia, making her a foreign policy expert, and there’s oil in Alaska, making her an energy expert. Nothing could be further from the truth. Actually, none of our candidates fully understand the dire nature of our global energy crisis. It’s not just climate change that we should be worried about – it’s peak oil. Just like the economy taking a downward spiral in a “perfect storm” of deregulation, risky mortgages, bad decisions on consumer’s behalves, industry greed, and bipartisan legislative ineptitude, climate change and peak oil are intimately intertwined and we are heading straight into the eye of yet another perfect storm. By nearly all estimates, peak oil, or the time when we cannot pump anymore oil from the earth in a day, is either happening now or will happen within the next 5-20 years. What this means practically is that as daily oil extraction levels off and starts to decline, as long as demand continues to rise, we will see an astronomical spike in oil costs and worldwide shortages. Let me repeat – if we continue to use oil as we do today, within the next few years to few decades, we are guaranteed to see huge oil shortages and massive price increases. This is not supposition, it is supported by oil industry insiders, geologists, and energy experts alike and if we do not shift to alternative forms of energy quickly, starting right now, civilization as we know it, fueled by oil, will grind to a halt. Not only that, but once the oil is gone, if we haven’t prepared ourselves, we’ll likely fall back on the other, dirtier fossil fuel that is still plentiful – coal. This, in turn, will accelerate the already unstoppable threat of climate change. The fact is, that offshore drilling and drilling in ANWR will give us a few measly percent of our annual oil use. The rest must still be bought from unstable Middle Eastern dictatorships, some of whom continue to funnel oil money into the hands of the very terrrorists that we are trying to defeat. We can pour money into drilling for more of a dying paradigm and building multi-billion dollar nuclear plants, neither of which will yield any power for a decade. Or, we can focus our efforts and resources on researching and building a renewable energy infrastructure for our entire country, which will protect us from the global economic collapse that will occur as peak oil hits. We will be actively fighting climate change, we will generate domestic jobs, we will wean ourselves off of foreign oil, and we can reclaim our role as a leader and innovator in the world. Not one of our presidential or vice presidential candidates has even mentioned peak oil, and we’ve barely heard a peep about the environment or climate change. None of these people are energy experts, especially not Governor Palin, who continues to spew her “Drill, baby, drill” mantra. She will not bring you lower gas prices, nobody will. If you calculate the true cost of a gallon of gas, including extraction, refining, transport, and environmental impact, it should be around $12/gallon. For the better part of a century, we have enjoyed cheap gas subsidized by government tax breaks, political power plays, and even war, and now that we’re starting to see fuel prices rise towards what a true and fair market price would be, Americans have cried in outrage rather than taken action to become part of the solution. At least Senator Obama and Senator McCain recognize the importance of climate change and renewable energy, at least they have an inkling of the true crisis at hand. Governor Palin is still in denial about climate change and is proposing to waste more of the taxpayers dollars on what will become a nearly obselete energy source within our lifetimes. Sorry, but this “Joe Six-Pack” needs a leader who has the intelligence and foresight to set aside their preconcieved notions, objectively evaluate the evidence and take steps to lead us into a prosperous and sustainable future, and Sarah Palin is not that leader.